Large Price Reduction & seller is offering $5000 toward buyer's closing costs with an acceptable offer. This meticulously cared for home is a must see! Enjoy a phenomenal panoramic view of the countryside from the wrap around redwood deck right out your back door. 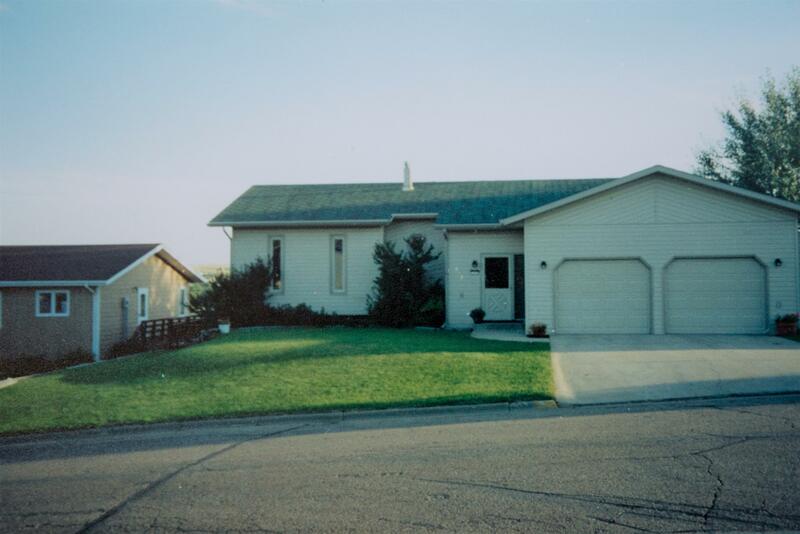 This 4 bedroom, 2 1/2 bath home has ABC seamless windows and steel siding. Upstairs is a spacious master suite, open kitchen, 1/2 bath, living room & dining room with a walk out to the deck to check out more of those amazing views. The lower level has 3 bedrooms, full bath, utility room and a great storage area. Walk out the lower level to an expansive backyard. This is where you are sure to enjoy hours of relaxation and plenty of room for all your entertainment needs. Besides all the great features this home has to offer there are also a newer A/C unit, furnace, and hot water heater. So all you need to do is move in and add your personal touches! Don't let this one get away, now is the time to call and take a look! © 2019 Bismarck Mandan Board of Realtors. All rights reserved. Information deemed to be reliable but not guaranteed. The data relating to real estate for sale on this website comes from Bismarck Mandan Board of Realtors and the Broker Reciprocity Program.sm. Real estate listings held by brokerage firms other than Dakota Plains Realty are marked with the BR logo and detailed information about them includes the name of the listing brokers. Listing broker has attempted to offer accurate data, but buyers are advised to confirm all items. Information last updated on 2019-04-19.